Wedding transport can create a true WOW moment in any wedding day. It’s not just about getting from church to your gorgeous wedding venue in Lancashire …it’s a big part of your wedding day experience. 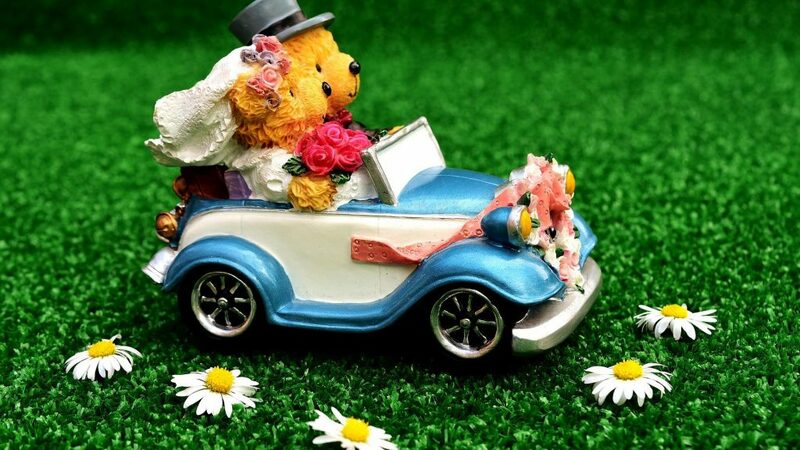 After all, who can forget the beautiful images of Harry and Meghan whizzing off to their wedding reception in their specially designed electric E Type Jaguar? It’s always worth considering any transportation early on the wedding planning process, so you don’t lose out on exactly the mode you want; especially if it’s a summer wedding. Depending on which wedding venue in Lancashire you choose to get married at, and at which wedding venue in Lancashire your reception is being held, will dictate what you require. To help you make the decision we’ve compiled some options that are popular with couples here at The Barton Grange Hotel. We’ve had couples arriving in everything from Monster trucks and tractors, to a fleet of minis and stretch limousines. You name it, we’ve seen it, so here’s some options to help you choose. 1 – Vintage Car – these are very popular for 2019/2020. The Harry and Meghan E Type Jaguar has definitely had an influence on the popularity of couples choosing a vintage sports car. They do make the perfect car for couples to drive from a church to a reception, or any indeed any part of the wedding. There are so many options to choose from including the old classic Rolls Royce and there are lots of vintage car hire companies now offering sports car options. 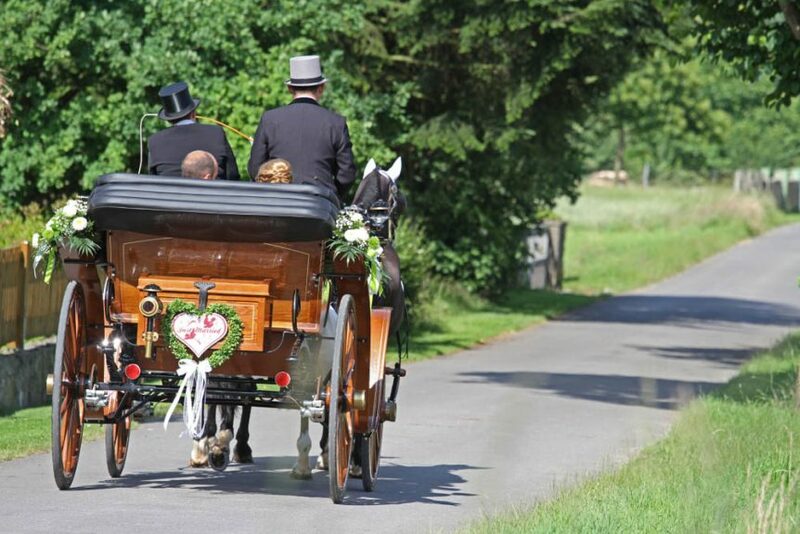 2 – Horse and Carriage – this mode of transport has seen a big resurgence in recent years especially in the summer months. If you are really want to go for this then make sure it’s a carriage with a roof can go up and down easily just in case the weather doesn’t behave! This is also an eco-friendly way to travel so you can tick tat box as well. 3 – Camper vans – are definitely a fun way to get around on your wedding day. From travelling to the wedding ceremony and reception venues, they make a great picture with the happy couple in the front seats. Fluffy ‘Mr & Mrs’ dice hanging from the rear-view mirror of course! 4 – Buses – if there are lots of guests to shuttle around then buses are a great option. Think red London bus. Or go for a vintage charabang. Serve champagne on board, and your guests will love this one! Some buses have even been converted to run on bio fuel, so it’s worth taking that into consideration when deciding on which model to go with.